The rails should also be installed at the right height. In case you choose a towel ladder, the top rung should be reachable. Ensure that the lowest rung is also able to protect the towel from touching the floor. 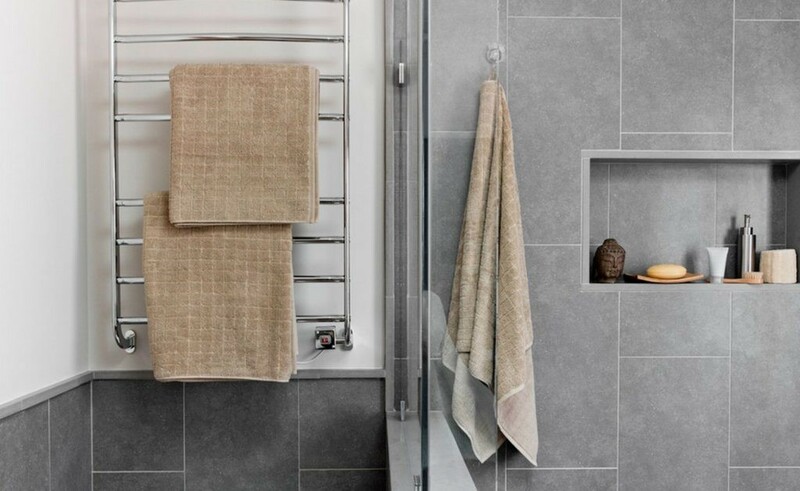 The width of the towel rail shouldn’t interfere with the opening of shower doors, cabinet doors and bathroom doors. Nowadays, the rails are available in a wide range of choices. You can get a rail for nearly every situation that you need. This could range from the round to the straight from floor to the ones mounted on the ceiling, the heated to the non heated and many more. In case you feel that you do not have enough space, you can choose the freestanding rails that are easy to move around the bathroom. You can also opt for the heated ladder or towel rail. If you opt for this choice you will need to make the choice early enough as it can be difficult to install after plastering. If you choose the hardwired rails, you will need to specify right or left hand wiring. In case you have ducted heating, you can opt for the non heated model. All you will need to do is to install it at the top of the heating outlet. This will provide you with the same result as the heated towel rails. In case your tapware comes with a rounded or squared look, ensure that the heated towel rails continues with the same look. The style and look continues should also throughout the space. This will ensure that not only is it easy on the eyes but it can create the desired effect.